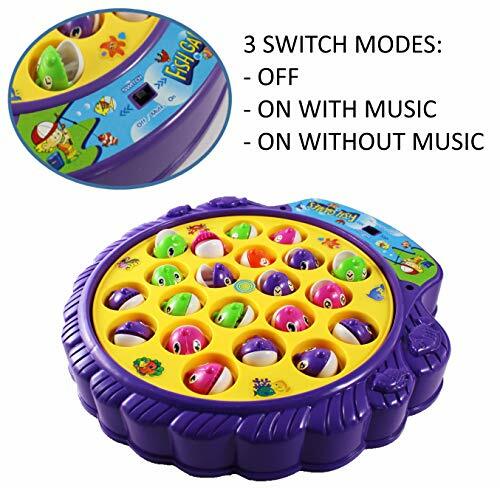 With catchy music/sound which can be turned off for quieter play. 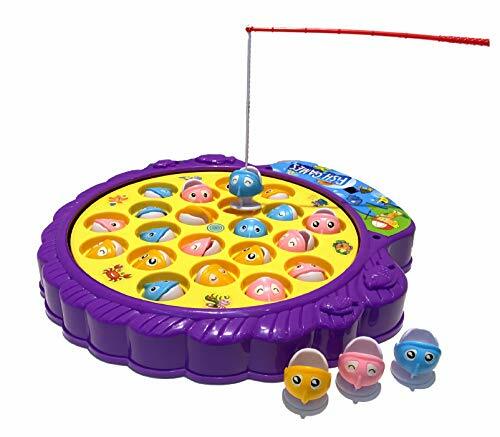 Practice fishing skills with this classic fishing game! 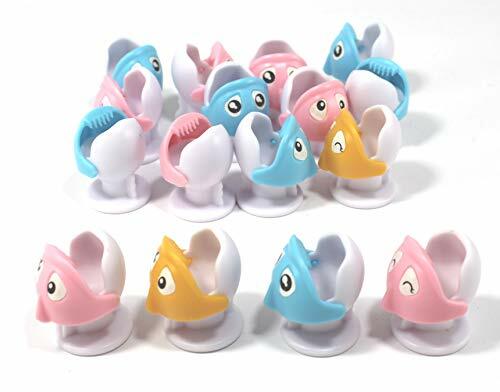 Helps younger children develop hand-eye coordination. Visual perception exercises to help color recognition and improve reflexes. 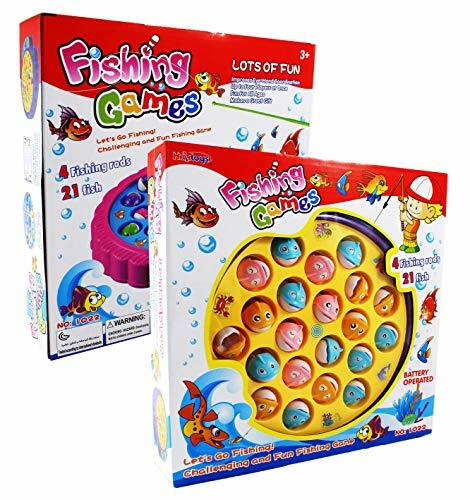 Classic version of a well-known and well-loved interactive and fun fishing game that parents remember when they were kids! This classic kids game teaches hand-eye coordination. 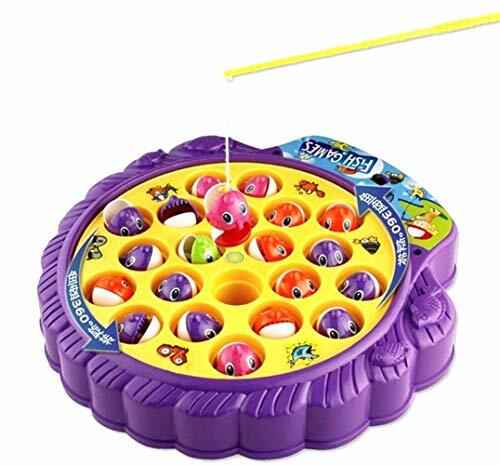 Players use mini fishing poles to try to catch the most fish while the game base spins fast. While the fish board spin, the fish also open and close their mouth. Fish board has three switches: Off, On with music, On without music. Game board fishpond dimensions: 10.5 x 10.5 x 1.5 inches; Package dimensions: 11 x 11 x 2 inches, weight: 1 lb. 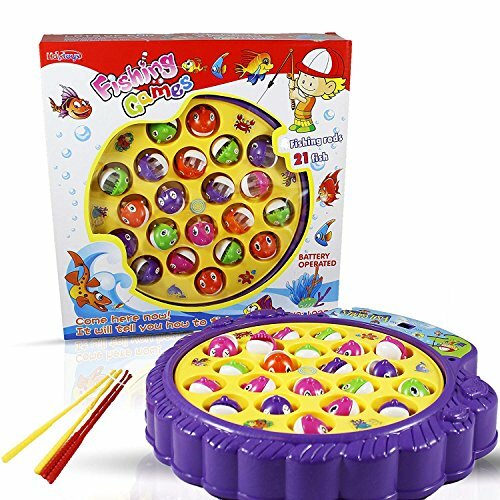 A fast-action fishing game! Ready, set, and go! 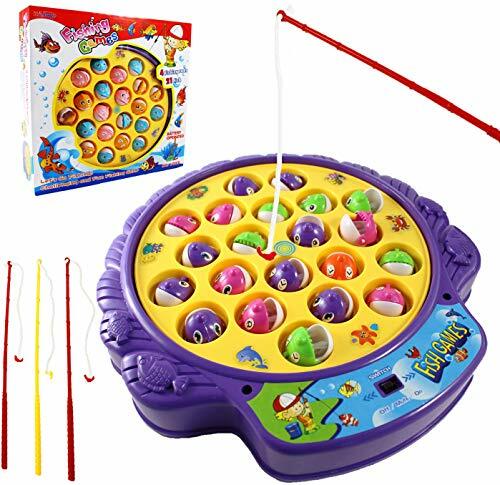 Practice fishing skills with this classic fishing game! Music/sound can be turned off for quieter and more peaceful play. Use of good-quality brand-new batteries are recommended for good performance. Note: Make sure to follow safety precautions in the product manual and/or on the product packaging.